We all love the 5th bike to the core. Movie Bike scenes are an adrenaline fest, whenever the two-wheeler monster arrives on screen, we are pumped at the very moment. There have been many movies where legendary motorcycles were showcased and we, as audience loooovvveeeddddd it! 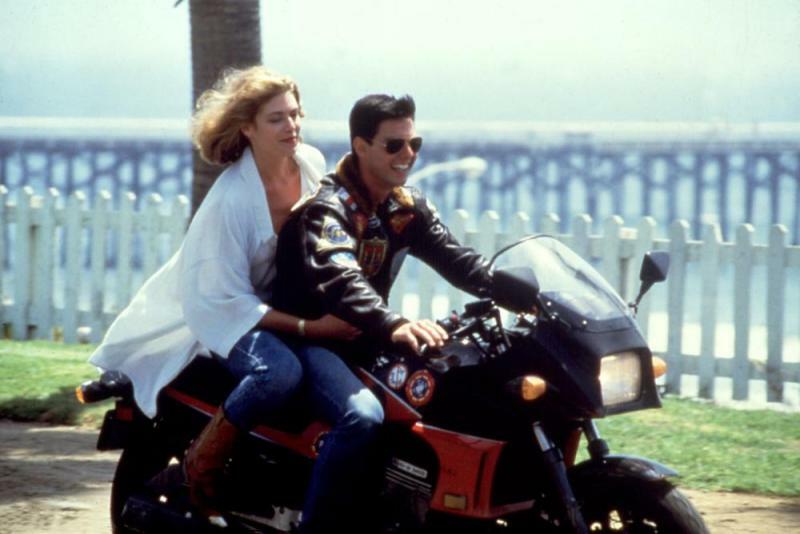 When the mega action star Tom Cruise rode GPZ900 in the fast-paced thriller Top Gun, our jaws dropped way down on the ground. Tom and the bike looked like beauty and the beast, bike being the beast because Tom is definitely the beauty we all adore! 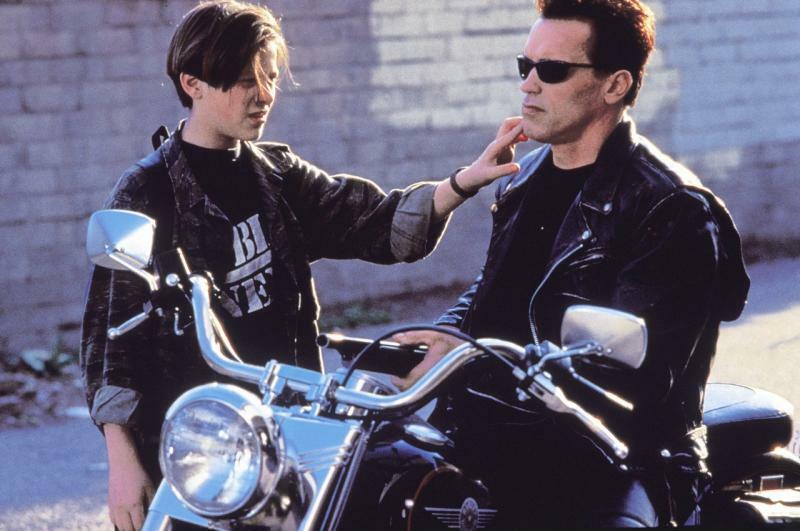 The Fat Boy was just like its rider – Arnold Schwarzenegger; huge and strong. . It propels the Austrian version of the Cyberdyne Systems 101 through myriad dangers. The huge tires and hulking V-twin mill added extra charm to the bike. 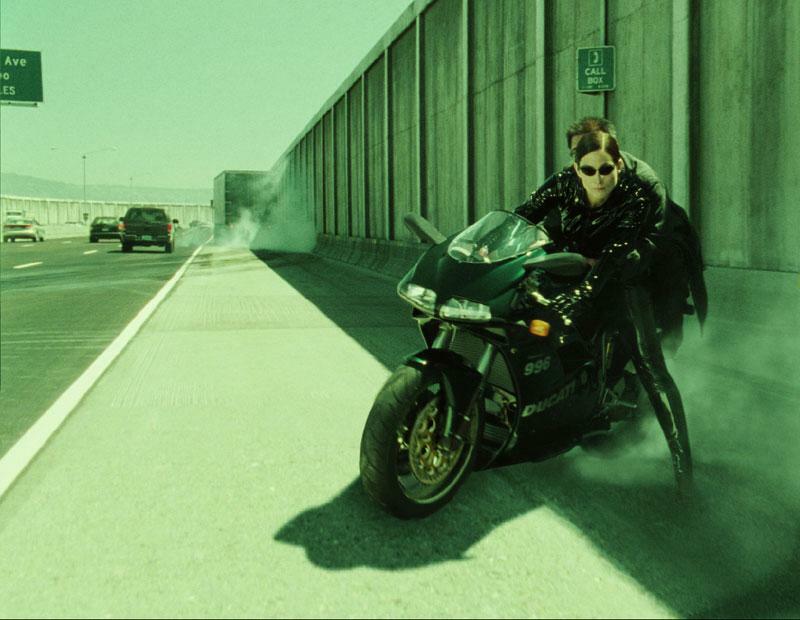 The movie was not really extraordinary but Trinity’s freeway chase scene was epic. The black 996 is the ideal choice for such an ecstatic scene. Carrie-Anne Moss rides it like a true blue racer and oh man, how hot she looks! 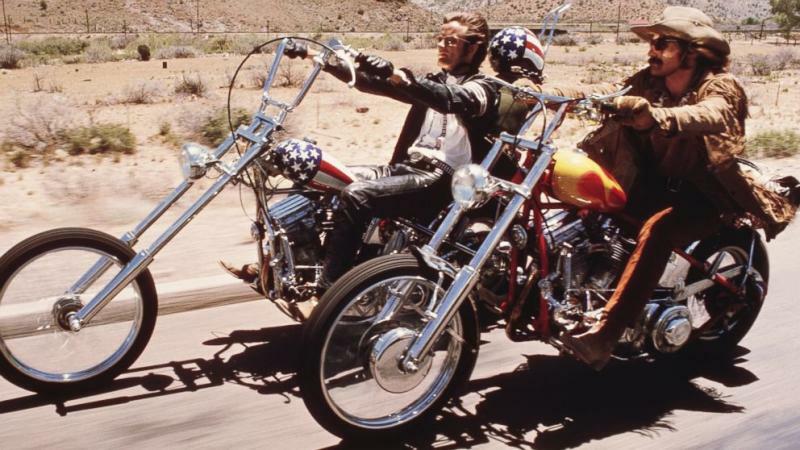 Dennis Hopper’s iconic film had many moments but the custom-made Harley overshadowed everything. When Peter Fonda’s Wyatt rode the custom motorcycle made use of the Harley-Davidson Hydra Glide, it was a sight that eyes crave for. Suave, stylish and thrilling! And damn, I saved the best for the last. 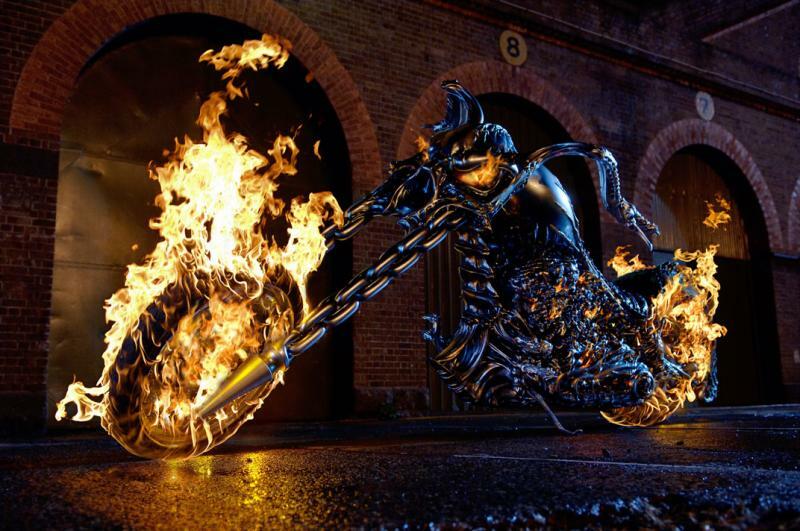 When Nicholas Cage’s Johny Blaze sets on his bike for vengeance, it is his bike that amplifies his power and threat. Nicholas rode a Panhead Chopper, which was actually modeled to meet the vision of the filmmaker. And safe to say, it did meet the vision; whistles did not stop whenever Johny Blaze rode this blazing bike.